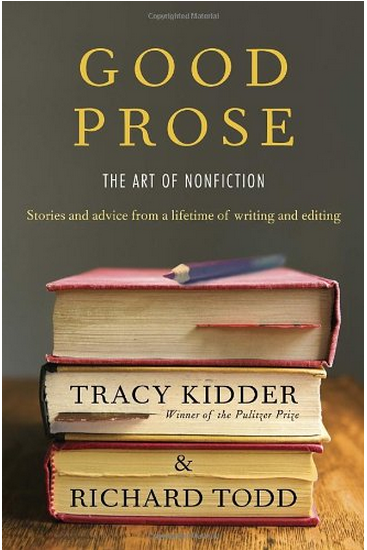 The following is my take-away from the March 2013 issue interview with Richard Todd and Tracy Kidder, plugging their new book “Good Prose,” which is ostensibly a book about writing non-fiction. The interviewer claims what the authors say can also be helpful in writing fiction, and certain discussion aspects lean in that direction. In the magazine article, it is fuzzy as to how much the guys were talking about non-fiction as opposed to novels. The reader has to filter and decide. 1. Old, established material is not always an asset. It can be a liability. Sometimes it’s cathartic to blow it up and start anew. 2. POV is critical for the narrative tone and it’s advisable to experiment with different approaches. 3. Most writers mistakenly use 1st person POV and haven’t given it adequate consideration. Most should try 3rd. 4. A 1st person narrator can sometimes function better as a guide. Too often he/she is absorbed with writing about self. 5. An outside editor’s opinion can help spot what is wrong in a draft, but the implication is, it only helps if the suggestion is cleverly pointed and resonant. 6. It’s important to keep proportions of content balanced, not too much on one person or topic (a basic lesson in argument). 7. Research works, but its organizational methods and usage varies among writers and is a matter of what works. 8. Writers can have varying quotients of talent but talent alone is not enough to sustain them. Like musicians, they must practice and work, and even harder if lacking natural ability. 9. Writing in stock prose and stale language is a dead end. Writers who write in “institutionalese” are cloaking their material in safe means of expression and are not truly getting across what they want to say. Those who avoid institutionalese are really writing. 10. Importance of authenticity coming across in one’s writing. If parroting or talking second-hand, the writing loses the honest/authentic factor. Posted in Writers' Corner on March 20, 2013 by Wm P.